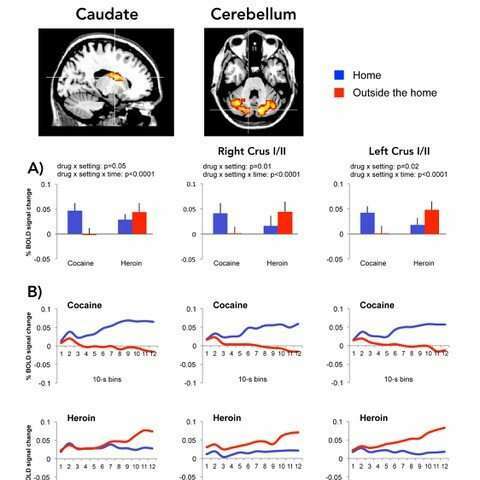 The study is published today, Monday 14 May, in the Journal of Neuroscience, the official journal of the Society for Neuroscience. 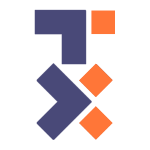 Dr. Silvana De Pirro and Professor Aldo Badiani at the Sussex Addiction Research and Intervention Centre (SARIC) at the University of Sussex, in collaboration with colleagues at Sapienza University of Rome, Italy, recruited people with addiction to both cocaine and heroin who receive treatment at a medical centre in Rome. 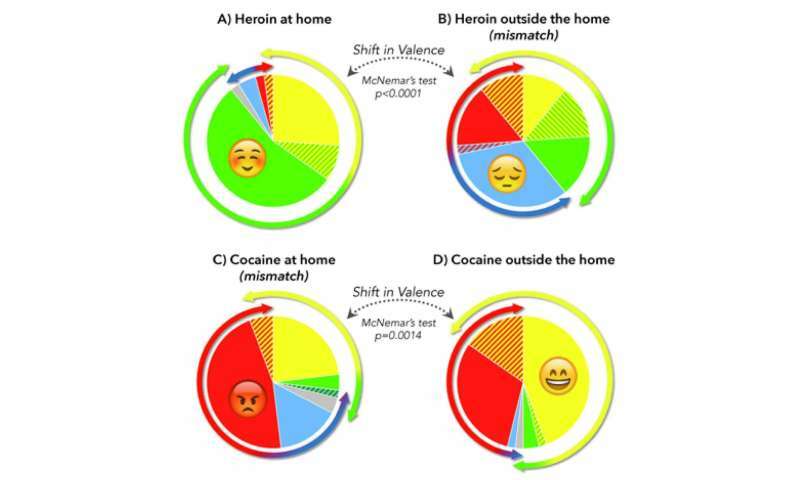 The researchers tested the 'mismatch hypothesis': that taking heroin—which induces a sedative state—while in a stimulating context like a club, and taking cocaine—which is a stimulant—in a private context, creates an emotional state that is at odds with the environment. This mismatch prevents the drug feeling pleasurable. 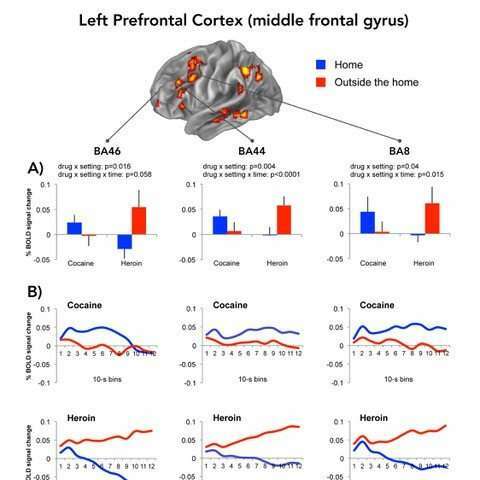 Dr. De Pirro, who undertook this study for her Ph.D. at the University of Sussex, said: "The findings related to the cerebellum are particularly interesting because that part of the brain helps us understand the context of our emotional experiences, so it may explain why the effects of drug taking vary by setting.